In this tutorial, I am going to show you how to protect a PDF document by passwords so that users that do not have permissions cannot open or modify the content of the PDF document. You can set two passwords to the PDF document, a user password and an owner password. The user password must be entered before the PDF document can be opened in Adobe Reader or Foxit Reader. The owner password applies restrictions to the PDF document. For example, you can allow only printing and copying to the PDF document. - userPassword--an array of bytes that is the user password. - ownerPassword--an array of bytes that is the owner password. - permissions--permissions or restrictions that will be applied to the PDF document. These permissions can be AllowPrinting, AllowCopy, AllowScreenReaders, AllowFillIn, AllowAssembly, or AllowDegradedPrinting. - encryptionType--the type of encryption. The encryption type can be one of the following STANDARD_ENCRYPTION_40, STANDARD_ENCRYPTION_128 or ENCRYPTION_AES128. When you run the example code above, you might get the dependency error as shown below. To fix the error, you will download the extra jar files from http://sourceforge.net/projects/itext/files/extrajars/. Then extract the zip file and add the bcprov-jdk15on-1.48.jar file to the project. After that, run the program again. iText is known to be an open source free library to create and manipulate PDF files in Java programming language. This useful library is originally developed by Bruno Lowagie and others since 2001. 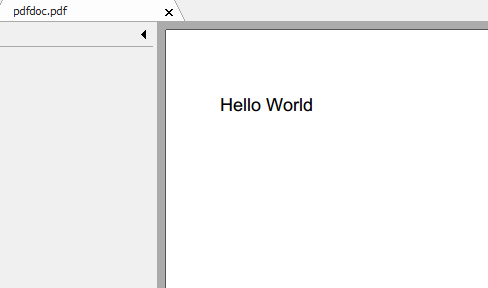 In this tutorial, I am going to show you how to configure iText library in Eclipse and create a PDF file to display the Hello World text. To get start, you need to create a Java project in Eclipse. After the process of project creation completes, you will download the latest iText library from the URL: http://sourceforge.net/projects/itext/files/latest/download. You will get the iText library in zip file format. Simply extract the zip file to a folder in your computer. In the folder, you will see a lot of jar files. However, the main one is itextpdf-5.5.0.jar. You need to add this jar file to the Java project before you begin writing Java code to create a PDF file or manipulate the file. To add the jar file to your current Java project in Eclipse, you will select Properties... from the Project menu. When the Properties dialog displays, click Java Build Path->Libraries. Then click Add External Libraries...A file dialog is open. Navigate to the folder that contains the itextpdf-5.5.0.jar. Select the file and click OK. Now the iText library is added to your project. To create a PDF file, first you need to create a class in the project. You can name the class whatever you want. However, in this tutorial, the name of the class is PdfItext. 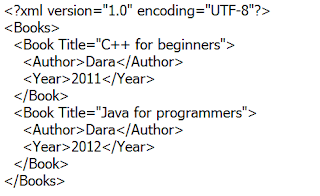 Below is an example Java code to create a PDF file by using iText library. -Create a PDF document object. -Write content to the document. Besides, desktop applications that run on operating systems, Java allows you to create applications that can be run on web browsers that enable Java or applet viewers. These types of applications are called applet applications. The java.applet package has Applet class that provides necessary support for applet applications. Unlike desktop or stand-alone application, applet does not require the main method. The execution of the applet does not begin at the main method. Rather, Applet class provides different methods serving as the basic mechanism of executing an applet application on a web browser or applet viewer. These methods are init(), start(), paint(), stop(), and destroy(). When an applet begins, the init() methods is called. You can use this method to initialize variables. The init() method is called once. The start() method is called after the init() method. This method is called every time the applet's HTML page displays on the web browser. When the user leaves the HTML page that contains applet, the applet stops by calling the stop() method. When he/she comes back to that page, the start() method will be called again to resume the applet. The destroy() method will be called after the stop method to free up resources used by applet from memory. The paint method is called each time the applet needs to redraw its output. For example, the applet draw its output when it starts and it is minimized and restored. 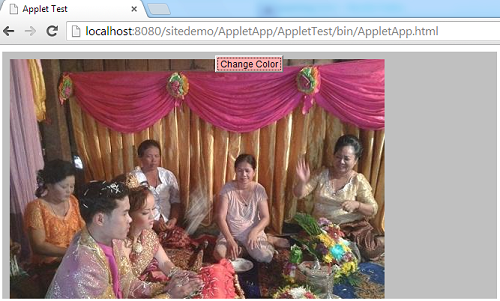 To create an applet application, you will extend the Applet class in java.applet package. The following example code is a simple applet application to display an image and a button that can be clicked to change the background color of the applet's window. You need an image file called gmaptr.png. You need to create AppletApp.class file from the source code above. This can be done by compiling the source code with the javac command from command prompt. In order to execute the applet on a web browser, you need to create an HTML file that includes the applet. You can include the applet within the HTML document by using the <applet> tag. Below is an example HTML file. After you create the HTML file that contains applet, you can execute the applet by using the appletviewer tool that comes with JDK. The command line below will execute the AppletApp application in the appletviewer from command prompt. If you are Eclipse user, you can execute the applet in the appletviewer from Eclipse by clicking the Run menu item. 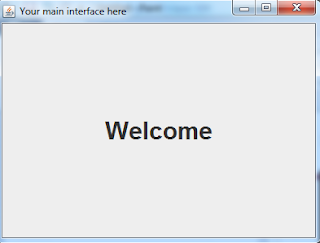 Besides running the applet from command prompt and Eclipse, you can run the applet in a web browser that supports Java. You need to copy the AppleAppt.class, AppletApp.html, and other related files to a directory of your web server. Then run the HTML file as you do with other HTML, php, or jsp pages. In my machine i have Chrome browser and WampServer installed. The root element is Books. Under the root element, there are two sub-elements or children elements Book. This tutorial is designed for people who come to work with XML file in Java. After completing the tutorial, you will be able to create an XML document and save it to a file, read data from an XML file, and modify elements in the XML file by using JDOM library. With the JDOM libary, XML file can be easily created, read, and modified. Before you can modify the data in the XML file, first you need to read the XML file in to a document object as you did in the previous section. Then you can add new children elements to the root, update data of an element, or delete an element from the document. After you complete the tasks, call the output method of the XMLOutputter class to save change to the file. Here is the example code. //Remove a book that has the title "C# for beginners"
Splash screen is a special window that displays in a short time period before the main window of a program or website shows. Generally, on the splash screen, you will see an image that represents an introduction to the program or website. Sometimes, a splash screen displays a progress bar to inform the user about a process that is loading and might take a long time to complete. When the process completes, the splash screen disappears. In Java, you can use the SplashScreen class (in awt package) to create a splash screen for your program. Alternatively, you can write your own code to create a splash screen. In this tutorial, i prefer to do the latter. First of all, you will have a class that extends the JFrame class. This class will represent the splash screen. In this tutorial, i name it as SimpleSplashScreen. The splash screen has no border and title. So will use the setUndecorated method to hide border and title. On the splash screen, there is an image that provides introductory information of the program. The JLabel component is used to wrap the image. Then it will be added on the splash screen to show the image. 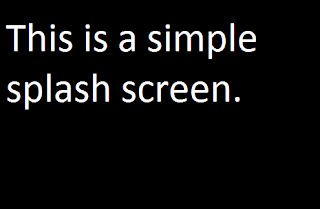 In the SimpleSplashScreen class, you need to add two methods. The first method (wait) allows the user to set the time delay of the splash screen. Another method (showScreen) will be invoked in the program to display the splash screen. 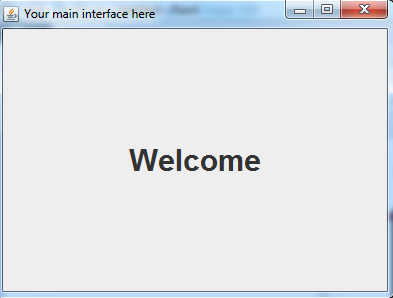 Simply, when the time is out, the splash screen disappears and the Welcome window is shown. This is the complete code of the SplashScreen program. Desktop is a useful class in Java. It can be used to open the default browser for a specified url, open a default mail client with optional e-mail address, open a file for editing or viewing, and send a file to the default printer. To do such operatons mentioned above, first you need to create an object of the Desktop class by using the getDesktop method. To launch the default browser on your computer with a specified url, you will use the browse method. The browse method has one argument that is a uri object referencing to the url. To obtain the uri object, you have to create a url object that accepts the address of a web page. Then use the toURI method to convert the url object to uri object. The example code below will open the default browser and shows the http://javatheprogram.blogspot.com address on its address box. You can launch an e-mail client program with your specified e-mail address by using the mail method. The mail method accepts one value that is the uri object. When you construct an url object to refer to an e-mail address, the string that will be passed to the URL constructor takes this form: "mailto:e-mail_addresss". 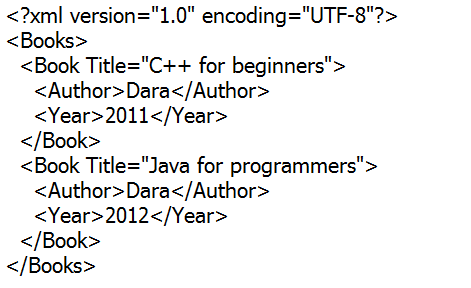 The example below will open the e-mail client program with the e-mail address yuk.dara@gmail.com on you machine. To open a file on your local computer, you will use the open method. This method will take the file object that references to a file on your computer. The code below opens the test.txt file (in drive D) of the computer. If you wan to print the file to the default printer that connects to your computer, you can use the print method. This method also accepts the file object that you want to print. The following code will print the file chart.pdf to the default printer. Robot is an automation class in AWT package of Java. The Robot class is useful when your Java programs requires test automation, mouse, and keyboard controls. The frequently used methods of the Robot class are shown in the table below. 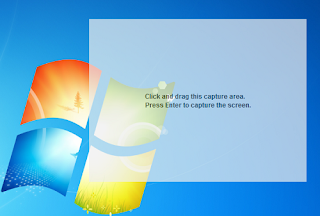 createScreenCapture(Rectangle r) This method returns the image (BufferedImage object) of the captured screen. The dimension of the image is specified by the rectangle r argument. delay(int mills) The delay method will delay the robot before an event occurs. getPixelColor(int x,int y) The getPixelColor returns the color at the specified coordinate (x,y) on the screen. keyPress(int key) This method tells the robot to press a key specified by the key argument. The KeyEvent class defines key constants that can be used in this method. mouseMove(int x,int y) The mouseMove method will move the mouse pointer to the coordinate (x,y) on the screen. mousePress(int buttons) This method tells the robot to press the mouse button. The value of buttons argument can be found in the InputEvent class. In the example code below, the robot is commanded to move to the start button on the Task Bar of Window 7 and the mouse is clicked there. Then the word notepad are typed in the search box and the Enter key is pressed to open the NotePad application. Another example is an easy screen capture program. To capture any part of the screen, you will drag the transparent capturing rectangle to a location on the screen where you want to capture. Then press the Enter key to capture the screen. In default, the captured area is 400 pixels wide (width) and 300 pixels long (height). If you wan to increase the dimension of the area to be captured, you will press the ] symbol key. Similarly, to decrease the dimension, simply press the [ symbol key. To minimize the transparent capturing rectangle, press the minus (-) key. When your work completes, you can press the ESC key to exit the program. 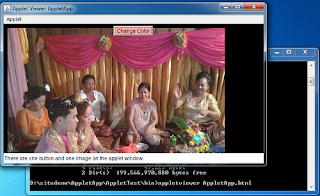 The images of the captured screen are saved in the current working directory of the program. if(code==27) //exit the program when the Esc key is pressed.